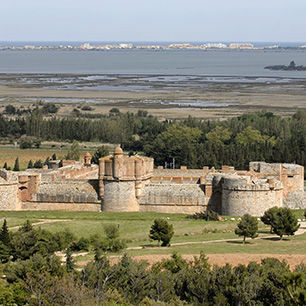 Salses, the inland frontier fortress. incorporates three independent sections: the living quarters, battlements and the keep. Last guided tour 1 hour 15 minutes before closing. The ticket desk closes 45 minutes before the monument. Terraces, keep, galleries with guided tours only.